In order to celebrate what has been an excellent season, I invited Torino fan Peter Bourne to discuss each member of the member, with a focus on which players should be retained for next season. Has always been a more than capable player but injuries have curtailed his career. Genova’s Marassi proved his unlucky venue this season, away at both Samp and former club Genoa he was stretched off and faced a spell on the sidelines. During the second half of the season, Bovo enjoyed an injury-free spell in the team notably when Nikola Maksimovic was switched to wingback. Bovo is easily the most comfortable of Toro’s centrebacks in possession and despite the ‘nil’ in his goal count, a frequent menace from dead ball situations. Verdict: Now in his second spell at the club, Bovo has done enough to be retained for next season. Became the first foreign player to be appointed fulltime Torino captain last summer. I was not necessarily 100% behind the decision, but as a leader Glik has excelled, proving the doubters wrong and perfectly embodying the spirit of the club. This season he seems to have cut out some of the rush of blood moments (the two sendings off in the derby games last season which partly earned him cult status). Glik struggled initially in the three-man defence, his lack of pace exposed during the early weeks of the season. It’s easy to forget how porous Toro’s defence was in the opening part of the campaign. Like the team he adjusted to the new system becoming one of the cornerstones of the side. Sometimes poor decision-making lets him down, the crucial penalty conceded at home to Parma a case in point. One surprising fact, Glik often seems more comfortable zonal defending than man-marking. An interesting signing by Petrachi, recruited in the summer from Red Star Belgrade. Maksimovic is included in the list of centrebacks despite playing much of the season out of position at right wing back. Like most overseas signings, ‘Makso’ was given time to adapt to the league and Ventura’s particular style of play. Tall but good on the ball, the young Serbian looked more comfortable at the heart of the defence and is definitely one for the future. At right wing back he performed admirably but doesn’t have the pace, crossing ability or guile to offer what is required in the final third. Verdict: Initially signed on loan, the club are in the process of tying him down to a four year contract. Has caught the attention of richer clubs but is likely to need another full season or two to fully develop. Almost certain to be a starter next year. Arrived literally through the back door in the summer. On the day the team met for the summer ritiro, Moretti suddenly showed up, kit bag in hand, to everyone’s general surprise. Like Bovo and Immobile, arrived after a disappointing campaign with Genoa. Following long spells with the Rossoblu and Valencia, the 32-year old was ready for a change. Initially expected to provide experienced cover, it was soon clear Ventura had Moretti pencilled in a starter on the left hand side of the three man defence. Easily Toro’s most consistent and reliable defender, he added balance and calmness to the reaguard. Often a goal threat. His potentially winning strike in Florence, unfairly ruled out, would have been the crowning moment of an excellent season. One black spot was the unfortunate, and ultimately uncostly slip, which gave Catania a 1-0 lead in early April. Verdict: Will be one of the first names on Ventura’s teamsheet next season. Looking back at my ratings, El Pelado was Toro’s most consistent central defender in 2012-13 (largely deputising for an injured Angelo Ogbonna). With Ventura switching to a three man central defence this season, Rodriguez was expected to find more opportunities – indeed he started the first two matches. Injuries though ravished his season and after Christmas he was only seen in the 1-0 away loss to Inter when Toro’s entire backline was injured or suspended. Rodriguez was arguably the Granata’s best player at the San Siro but nigging injuries continued to disrupt his return, proven by Ventura’s preference to play midfielder Giuseppe Vives in defence during emergencies. Verdict: After two seasons and 28 appearances unlikely to be retained next season. Injuries denied him the chance to make a firm impression. A good player though. Plan for 2014-15: Angelo who? Toro didn’t miss Ogbonna (who had been average last season anyway) and the money banked looks like great business. The centre-back area needs very little work during the summer assuming the quartet Bovo, Glik, Maksimovic and Moretti remain. Considering Matteo Darmian can act as cover as well, the club seem well placed. Young Swedish international Pontus Jansson will take Rodriguez’s slot in the squad and could be next season’s Maksimovic. Former Sampdoria, Lazio and curiously Wimbledon man was drafted in following Gillet’s ban as third choice goalkeeper. Never featured, aside from in touchline goal celebrations. Toro’s virtual ever-present goalkeeper in the 2012-13 season and a faithful stalwart of Ventura. Was embroiled in the calcioscommesse scandal (related to his time at Bari) and received a belated three year, seven month ban during pre-season (later reduced to a little over a year on appeal). Gillet has always protested his innocence but the saga has cost him both his first team place and a spot in Belgium’s World Cup squad as back up goalkeeper. At nearly 35, still has time to resurrect his career. Toro have stayed loyal to the player who has one year remaining on his current deal. The goalkeeper who never plays, the perennial ‘number 13’. At nearly 25, Gomis still has a mere 22 first team appearances under his belt. On a positive note, a bout of sickness suffered by Padelli during the second half of the game against Genoa handed Gomis a 36-minute appearance and long-awaited Serie A debut. He looked nervous but was not to blame for the Rossoblu’s equaliser in a 1-1 draw. Cuneo-born and raised, Gomis switched his international allegiance to his parents’ native Senegal and made his debut in March against Mali. Desperately needs a full season (most likely in Serie B) to mature and improve. Now finds himself behind younger brother Alfred in the pecking order for next season. Verdict: Lys, go out on loan and play some football somewhere. A lesson for Gomis. On signing at the age of 27, Padelli had less than 70 first team appearances to his name, keeping the bench warm in the provinces in between spells at Liverpool, Samp and Udinese. Was signed as an understudy to Gillet but seized his chance when the Belgian was banned for the season. Padelli’s form in pre-season convinced the club not to sign a new No 1. There were though a number of reservations, including the point @TorinoBlogger made that Padelli perhaps showed a lack of ambition have initially signed on as a reserve. Perhaps it was a calculated gamble by both club and player. The opening games were not too encouraging. Padelli lacked Gillet’s tidy footwork (a prerequisite of a Venturian goalkeeper) and looked both nervous and unconvincing on crosses (notably in the 3-3 draw with Inter) and long-range shots. His is a fine example of the benefits of giving someone a run in the side. By the turn of the year, Padelli had improved his kicking (and the defence readjusted to his style), mistakes were few and far between and he made several match winning saves (pick of the bunch away at Roma). Spent the final months of the season one booking away from suspension and sensibly trod the fine line to avoid missing a crucial game in the run in. Matured into a fine and reliable goalkeeper by the season’s end. Verdict: Has earned his stripes and highly likely to be number 1 next season. Plan for 2014-15: Padelli should be number 1. With (seemingly) no Europa League football, there is less need for an experienced back-up. Alfred Gomis has had an outstanding break out season in Serie B with Crotone and would be my choice as reserve. Lys Gomis to move out on loan, Berni and Gillet to depart. After only recently recovering from the heartbreaking end to the season that Torino suffered, it is now time to reflect on the positive aspects of what has been an excellent campaign. Please read the write ups for each player in each category and email your votes to torinoblogger@hotmail.co.uk. The winning player for each category will be announced at the end of the month. Signed in the summer as a replacement for the outgoing Rolando Bianchi, Immobile exceeded all expectations with an outstanding season. Despite not scoring his first league goal for the club until October, the former Genoa striker ended the season as the Serie A Capocannoniere with an exceptional 22 goals in 33 matches. His exceptional form at club level has lead to him being called up by Cesare Prandelli to the Italian national team, and he is expected to be included in the final 23 man squad for the World Cup. It will be difficult not to mention that penalty miss when referring to Alessio Cerci's season, but it is important to remember of the incredible contribution he made to Torino's campaign before that error. Giampiero Ventura's decision to move Cerci from his normal right wing position to a more central striking role seemed curious, but there is no doubt the switch worked better than anybody could have dreamt. Whilst statistics can often be over analysed in the modern game, the fact that Cerci was the only player in Serie A to achieve a 'double-double' (double figures in both goals and assists) his hugely impressive. Whilst his season may not have been as exceptional as the previous two, Glik has been included for both his contributions on and off the field. Despite initially struggling to adapt to Ventura's new 3-5-2 formation, the Pole gradually grew into the role, and provided a number of imperious performances at the heart of the Torino defence, AC Milan away for example. 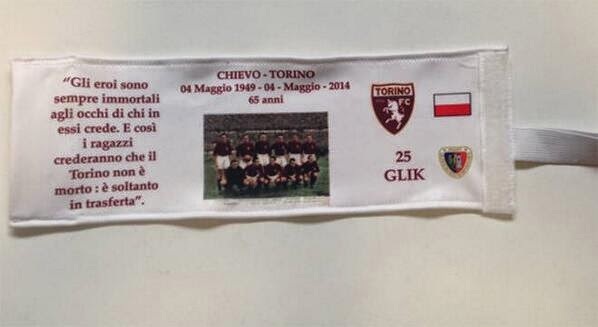 As the first non-Italian player to captain Torino since 1960, Glik had a lot of pressure on his shoulders, but his personal tribute to 'Il Grande Torino' in the form of a personalised captain's armband was a classy touch. A summer signing from Red Star Belgrade, Maksimovic had to wait until to December to make his first start for the club, but even in this game against Udinese away it looked as if Toro had found a star. Comfortable on the ball and in the air, Maksimovic even played at right wing back towards the end of the season and never looked out of place. The Moroccan international signed for Torino on loan from Napoli, and added a creative spark that was so often missing last season. At times could be frustrating to watch when he lost possession, but his certainly one of the most gifted dribblers in the whole league. His tally of 5 goals and another 7 assists was an impressive return in his debut season. The veteran defender arrived from Genoa in the summer tasked with providing experience to a young side, Moretti excelled on the left hand side of Toro's back three and apart from one slight mistake against Catania performed well in each of his 36 appearances, scoring 1 goal. At 33 years of age, I don't think anybody expected Giuseppe Vives to play such an important role in Torino's excellent campaign. Given the task of being Toro's regista, the former Lecce man often orchestrated Toro's play, perhaps best illustrated by his outstanding assist to Ciro Immobile against Roma. Now, I have to be a honest, at the start of the season after Padelli had made a number of high-profiled mistakes I was one of the Toro fans who believed that the former Liverpool goalkeeper should have been dropped and replaced by Lys Gomis. However, I am delighted to admit that I was wrong, and a number of outstanding performances in the second half of the season contributed to Toro's 7th place finish. For the past two seasons, Matteo Darmian has been Torino's most consistent player and therefore I guess the only 'surprise' was that he was able to continue this for yet another campaign. Despite being a player who is more comfortable defending than attacking, Darmian adjusted well to being played as a wing back (on both sides) and is finally receiving the international recognition his form has deserved. The 2013/2014 season has been an incredible season for Torino fans, as their team challenged for a return to European football thanks to the goals of Alessio Cerci and Ciro Immobile (who feature heavily in this video). Please take the time to vote for your favourite goal by voting on the poll on the right-hand side of this website. The above quote is taken from myself in the immediate aftermath of Sunday's game between between Fiorentina and Torino. They say time can heal all wounds, but the image of Alessio Cerci missing an injury time penalty that would have put Toro into Europe for the first time in 20 years is still ingrained in my memory, and probably will be forever. Giampiero Ventura made one surprising choice, as the suspended Cesare Bovo was replaced by Panagiotis Tachtsidis, and the experienced Giuseppe Vives moved into the back three. 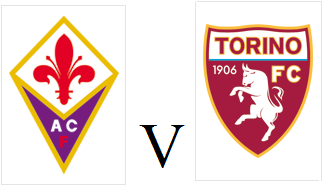 Despite pre-match predictions that Fiorentina would take things easy on Toro, a club they are 'twinned' with, the Viola started much the brighter as Giuseppe Rossi forced Daniele Padelli into a great save. At the other end, a great run from Alessio Cerci ended with the former Viola winger being pulled back in the area, but Toro's appeals for a penalty were turned down. On the hour mark, Juan Cuadrado, the home side's most threatening player was brought down in the area by Giuseppe Vives, although replays showed the Colombian may have initiated the contact. Giuseppe Rossi stepped up and sent Padelli the wrong way to give the Viola the lead. Giampiero Ventura brought on strikers Paulo Barreto and Marcelo Larrondo as Toro went in search of an equaliser, and within three minutes the latter scored his first goal of the season after excellent work from Alessio Cerci on the right wing. Torino thought they had taken the lead when Emiliano Moretti prodded home from a corner, but the goal was disallowed due to an apparent push by Marcelo Larrondo. With Torino pushing men forward in search of a winning goal, they left themselves open to the counter attack, and Cuadrado supplied an inch perfect pass for substitute Ante Rebic to fire home. However, Toro were not ready to give up and with five minutes remaining Jasmin Kurtic fired an unstoppable free kick into the top corner to give the thousands of Torino fans who had travelled to Florence hope that they would witness an incredible comeback. And then, in the third minute of injury time substitute Paulo Barreto was upended by Facundo Roncaglia and Torino were awarded a penalty. Former Viola player Alessio Cerci stepped up to take the spot kick, but almost unbelievably, his strike was save by Fiorentina keeper Antonio Rosati, and as has been the case so many times in Torino's distinguished history, the Granata had fallen at the final hurdle. The atmosphere amongst the Torino fans after the final whistle is unlike anything I have ever witnessed in football, as the realisation of what they had just witnessed began to sink in, and thus the result was an eerie silence. That was until the Torino players, and a clearly distraught Alessio Cerci made there way over to the away fans for a deserved standing ovation for what has been an incredible season, and a 7th placed finish for a team who barely avoided relegation last season is an incredible achievment and every single member of the squad and coaching staff deserves immense credit for what they have achieved. Torino will have the opportunity to turn what has been an excellent season into a historic one when they face Fiorentina on Sunday evening. The Granata will have up to 6000 fans cheering them on when they face the Viola, knowing that a victory will be enough to ensure a return to European football for the first time in twenty years. After his red card against Parma, Toro will be without top scorer Ciro Immobile and he is expected to be replaced by Riccardo Meggiorini up front. Defender Cesare Bovo is also suspended so will miss the trip to Florence, but Uruguayan Guillermo Rodriguez should deputise. 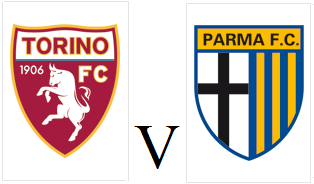 With just two games of the Serie A season to go, Torino and Parma meet at the Stadio Olimpico on Sunday, both with European aspirations. Both clubs have exceeded expectations this campaign, and are currently the front runners for the final Europa League space, ahead of both Milan and Lazio. Torino did have an injury scare over striker Alessio Cerci this week, but the former Fiorentina man is included in the squad for tomorrow's game. The Granata have won 6 of their last 8 games and are the form team in Serie A at the moment. Opponents Parma had lost two games in a row before returning to winning ways with an victory against Sampdoria last weekend. The Crociati have not won away from home since an impressive 4-2 win at Milan in March, but they did beat Torino 3-1 in the reverse fixture this season. Torino continued their outstanding recent form with a convincing 1-0 victory over Chievo on Sunday afternoon, a result that means Toro are only two games away from European football. As expected, Giampiero Ventura named an unchanged starting eleven from the side that beat Udinese last weekend. Before the game, a moments silence was held in hour of 'Il Grande Torino' as this game was being played on the 65 year anniversary of the Superga disaster. Daniele Padelli was forced into action to deny Ivan Radovanovic's long range free kick, whilst at the other end Alessio Cerci forced Michael Agazzi into making a save. Ciro Immobile harshly had a goal disallowed for an apparent foul on the goalkeeper, but on the replays it appeared as though Agazzi had just dropped the ball. Torino had even more reasons to be aggrieved at the officials when Alessio Cerci's cross was blatantly handled by Dario Dainelli inside the area yet no penalty was awarded. The veteran defender was then lucky to stay on the pitch as it appeared as though he elbowed Ciro Immobile on two separate occasions, but he only received a yellow card. Ten minutes after half time the Granata took the lead when Alessio Cerci's corner was flicked on by Jasmin Kurtic and then diverted into his own net by Gennaro Sardo. Torino task was then made somewhat easier when one of their former players, Sergio Pellissier was sent off just six minutes after coming onto the pitch after he received two yellow cards in quick succession - the second of which for dissent. Toro had chances to make their margin of victory even more convincing, but Ciro Immobile and then Riccardo Meggiorini missed chances to extend their lead. However, Torino were never in danger of losing their lead and remain in 6th position with just two games remaining of an outstanding season. On the 65th anniversary of the Superga air disaster, Torino will be hoping to pay a fitting tribute to 'Il Grande Torino' with a victory against Chievo on Sunday afternoon. 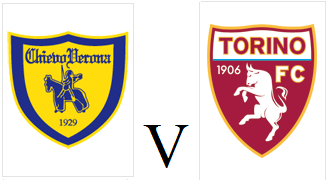 The Torino hierarchy did ask for this game to be moved so that the team did not have to play on the anniversary of the tragedy, but the Lega Calcio refused this request due to the fact Chievo are embroiled in a relegation battle, and their game has to kick off at the same time as the other relegation strugglers. "The heroes are always immortals in the eyes of those who believe in them. And so the kids will believe that Torino has not died: it is just away"
The Granata are in excellent form having won four of their last five games, and it is this form that means they currently occupy the final Europa League position. Toro have no injury worries, as both Giuseppe Vives and Cesare Bovo have recovered from slight injuries, therefore Giampiero Ventura is expected to name an unchanged side from the team that beat Udinese last weekend. By contrast, opponents Chievo are in miserable form having lost four of their last five games, and have not beaten a side in the top half of the table since November.